In case you somehow missed the news, it came out recently that this detective novel, published under the name of Robert Galbraith, was in fact the work of J.K. Rowling, the superfamous author of the Harry Potter books. Her previous attempt at post-Potter adult fiction, Casual Vacancy, didn’t go over all that well. So I can see why she might have wanted to try again with a book that would be judged on its own merits. Having never read the Potter books, I feel like I can give Cuckoo’s Calling a fairly unbiased review. I found this thriller less than spell-binding. J.K. Rowling’s writing style is lush and descriptive, with an absurdly proper level of punctuation (commas, semi-colons and parenthesis), and long sentence constructs with multiple dependent clauses. It’s good writing, if a bit slow going- and terribly at odds with what purports to be a detective thriller. 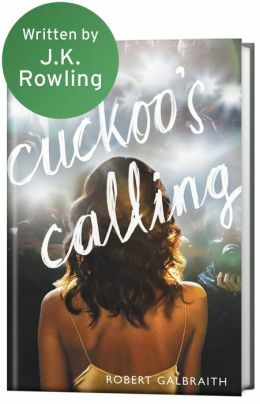 In Cuckoo’s Calling, Robin finds herself as the temporary secretary to a private eye named Cormoran Strike, who is investigating the apparent suicide of a famous model, Lula. There are lots of players on this stage, all with their own well-developed backstory; the one I found most interesting (and would, in fact, want to read about again) was Strike himself. The mystery itself wasn’t all that riveting. I also felt like this story had misogynistic elements to it, in the way women were described and how theit characters were developed. For example, in their first encounter, Strike almost knocks Robin down the stairs, but catches her by the breast. So throughout the first chapters, she is described as sneakily rubbing her bruised breast. Maybe this is Rowling’s attempt to sound like a male author, but I didn’t care for it. The mystery and characters were about average, with Cormoran Strike being the standout in the story. The writing was above average, but not at all suited to this type of book. I found myself wishing I could enjoy the writing in a different type of book, like one of those slow reflective novels that takes place with a family at their beachhouse all in one weekend…or perhaps…a fantasy. This entry was posted in Fiction and tagged book review, books, British, detective, J.K. Rowling, model, mystery. Bookmark the permalink.